When on the road, I am aware of the need for road safety. This translates into strict no cell phone while driving. I am always mindful of the fact that one day the automation of driving will leave me free to surf the web, play games, or make further strategic plans a reality for whatever device follows the cell phone. 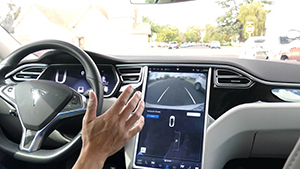 Even now, there are exciting developments you find on leading-edge cars which bring that self-driving vehicle one step closer to reality. Apple and Google are taking a similar approach to my own business, Play API. Make the best driving experience on the road while providing software to make your content safely accessible to you. 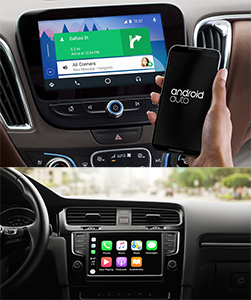 Currently available on some 400 car models, CarPlay and Android Auto use the familiar iPhone and Android interfaces and build the software into the display on your car, making accessing music, contacts, and navigation information feel and act just like on your iPhone or Android cellphone. Info: apple.com; android.com. We all know what cruise control is about. 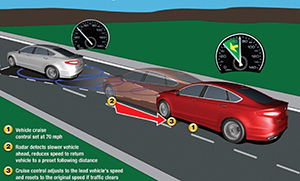 Well, add a radar system into your car that can detect vehicle movements ahead and manage the distance to the next vehicle automatically, and that’s adaptive cruise control. Wish someone else could do that parallel parking? The technology is already here and at your fingertips. And at the push of a button a number of clever lasers and the car’s computer will work out how to turn the wheel—all you have to do is gently work the accelerator. When driving and making hands-free calls one of the things that helps me relax is the ventilated massage seats. 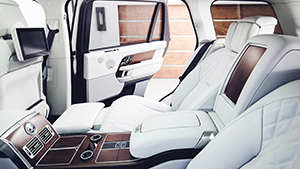 These seats are designed to enable warm or cold air to evenly flow, thus banishing sticky clothes in summer for good. That massage function can help work away stress, or on long drives to offset the lack of movement. The latest 2018 Range Rover SVA Autobiography is bringing in hot stone massage seats. Put me on the list for that one. Info: landroverusa.com. The technology that enables fighter pilots to see essential information in front of their eyes and remove the need to be distracted looking at dials is now available in your car. See the next turn from your GPS programmed route in front of your eyes or check the speed against the current limit easily and safely. 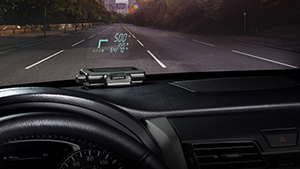 Since May 1st, all new passenger cars sold in America are required to include a rearview camera. Hopefully leading to pin-point precision parking in every shopping mall going forward, the more attentive drivers can indulge in seeking perfection in their every parking maneuver. 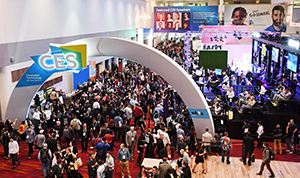 This year’s Consumer Electronics Show (CES) held in Las Vegas showcased the next auto gadgets which will make our lives even more comfortable. Avis is testing car keys synced to your cell phone. So all you do is rent and drive away. Cool. Meanwhile, Toyota is developing mini-buses that will serve as mini-offices. Just think of working in a “mini” environment and at days end delivered back home. Welcome to the future!